This week’s Digital Sport Insider podcast is just a little bit of a different one to what we’ve been used to over the last few months. It’s still in the same format as we’re used to, and featuring Dan McLaren as host, of course. There’s little different in that regard. But in terms of content perhaps there’s a little bit of a departure: this time the topic of conversation isn’t about the world of social media, publishing, or the difficulties of navigating the digital presence of a club or a league. 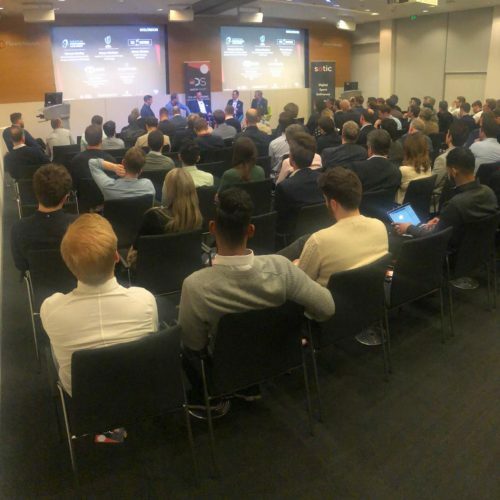 Instead, it’s about the world of startups, with guest Benjamin Penkert – founder and MD of SportsTechX, who connect sports tech startups with investors and the sports industry. Perhaps more importantly, it’s about the independent spirit needed to leave your comfort zone and forge a new path, starting up your own business and taking it around the world trying to make it work. Penkert left his job in Berlin to travel around Europe exploring the sports tech startup scene in several countries, “ went to different cities and countries and stayed, on average, for three to four months and explored the local ecosystem,” Penkert told the Digital Sport Insider podcast. “From Berlin to Budapest to Malmo then back to Berlin. And ever since, i’ve been active in the sports tech space. When you think about it, if you see your role as a link between startups and the sports industry, it’s surely important to understand where these startups are coming from – not just from the point of view of trying to grow a business from scratch, but also the pressures and stresses of leaving your job to start your own company. Perhaps it’s an understanding of these emotional strains that matter the most, and it’s clear that Penkert has had the same experience. Too few people take the chance, and there are often good reasons why not. Life’s hard enough without jumping in at the deep end and pulling the rug out from underneath your own life and financial security. But it can be rewarding. And when it comes to innovation in the sports industry – and especially in sports tech – it’s the independent spirit of people with ideas that drive it forward.